Pixel Blue Eyes - Her "Tails of Adventure": Pixel Blue Eyes Celebrates the Joy of Rubber Duckie Day...ALL WEEK LONG! Pixel Blue Eyes Celebrates the Joy of Rubber Duckie Day...ALL WEEK LONG! HAPPY NATIONAL RUBBER DUCKIE DAY!! Okay, officially it was January 13th, but to me, it's not just a day, it's a state of mind, so I'm celebrating National Rubber Duckie Day for an entire week! I celebrate rubber duckies unlike many others you might know. Rubber duckies are my friends. I have many rubber duckies. I celebrate each of them for their uniqueness. I started out with one, and then the family grew. The one pictured with me here is Pinkie Tuskadero Duckie. She and I play together a lot, but I also play with her brothers Little Duck Blue and Green Day Duckie. Do you know the history of Rubber Duckie Day? It is the birthday of Sesame Street's Ernie's famous Rubber Duckie. Isn't that cool? Learn more interesting Rubber Duckie Facts at www.rubaduck.com. 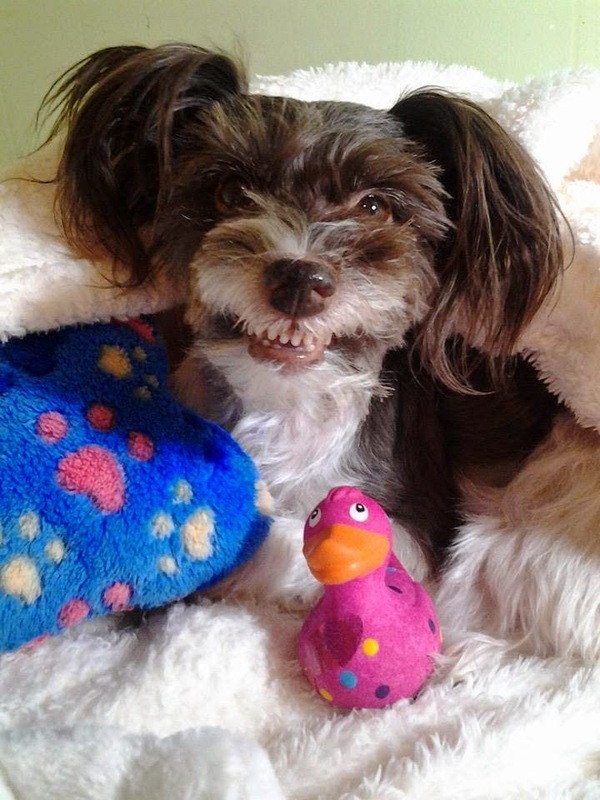 I started out with a beloved purple duckie named Purple Duckie. He was my very first one. We played and played all the time for a year, then one day he just...broke in half. It was sad and tragic. I moped for days...weeks. Mommy searched and searched for his family, and then one day they showed up! It was so wonderful, and that very day I made up my mind to never let another duckie fall like purple duckie again. 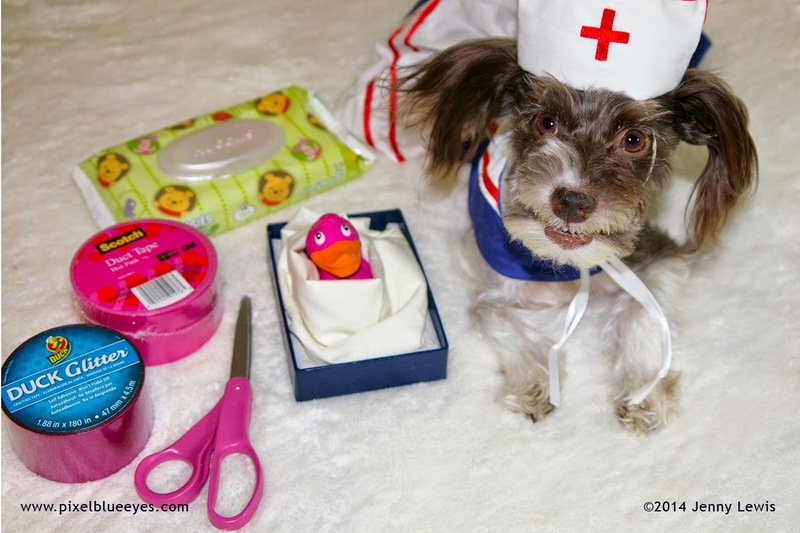 So, I used my nursing skills and Mommy's surgeon skills and we started a Duckie Hospital for injured duckies. That is how I still have Pinkie with me. That story I will be sharing later...but we did save her life. This photo is her right before her surgery last month. I hope you leave today with a greater appreciation for the Joy of Rubber Duckies. Have fun celebrating the Joy of Rubber Duckies with me. Do you have a rubber duckie story to share? I'd love to hear about it! This is a #WordlessWednesday Hop! Hosted by my friends at BlogPaws. Click on some links below to see what other pets are doing on this fine Wordless Wednesday. Oh no we missed rubber ducky day....drats. Have a wonderful Wednesday. We are so glad you can cure rubber duckie. I didn't know about rubber duckie day! I have a few of my own. Two tiny ones that sit on my desk and then a few in the bathtub for my granddaughter. I love your photos. What a cutie pie! Rubber duckies don't last around here. 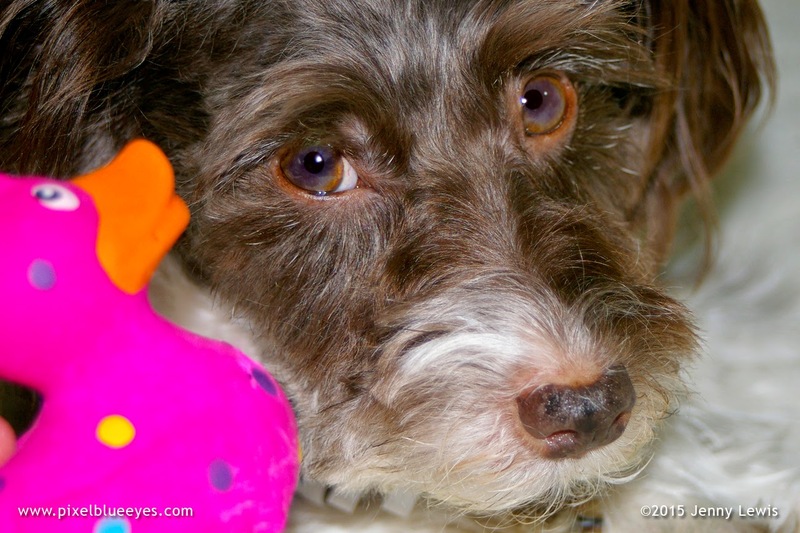 I am sad to say some of my dog brother and sisters love to chew the rubber and put a hole in the rubber duckies. We can only have stuffed duckies. I have to use my humans account. Your blog won't accept comments from me now.